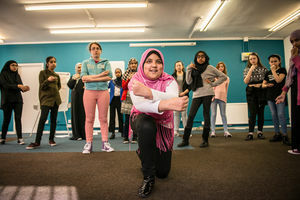 3FF is a leading British Interfaith Charity that has been committed to building good relations between people of different faiths, beliefs and cultures for the last 20 years. We have most recently started working in the West Midlands with a particular focus on Schools work. Our School Linking Programme gives students of different faiths, beliefs and cultures opportunities to meet and learn from each other. The programme encourages pupils to feel confident and curious as they meet people from different backgrounds. By providing meaningful encounters for both students and staff, linking increases recognition and respect for different beliefs and cultures. Over the course of an academic year teachers will co-deliver 3 ‘link days’. The first meeting (or ‘link day’) between students takes place at a neutral venue to ensure all students feel comfortable and at ease. Together with a teacher from the other school (their ‘link partner’), and with support from 3FF, teachers plan and deliver a day of engaging activities that explore issues around belief and identity. The subsequent link days take place at schools, giving the students a chance to both host and visit. The keys to our success is recognising the need for those facilitating the linking process to have a strong understanding of local context so they can respond to community need, and prioritising leadership development amongst teachers and senior school leaders. In order to achieve this, we deliver 3 days of CPD training annually for teachers involved in our Schools Linking programme. Through this training, we explore with teachers tools and techniques for helping their students to appreciate the complexity of their own and others’ identities, and to develop the language and communication skills to discuss sensitive topics constructively. 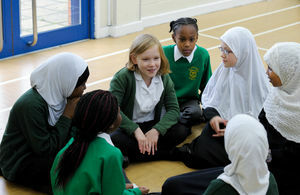 Through equipping teachers with the skills and confidence to facilitate ongoing conversations around topics of diversity and difference between their students and students from other schools, 3FF offers young people an alternative to ongoing narratives of community tension, and helps teachers to create interactive encounter-based learning opportunities for students to experience a variety of beliefs and cultures. Link 1: Who Am I? – Exploring ideas of identity. Link 2: Who are We? – Exploring ideas of community and belonging. Link 3: Where do we live? – Exploring connections to wider society and ideas around diverse citizenship.